So many of my students raved about this book, I can't believe it took me so long to read/listen to this book. I LOVED IT! Now I can't wait to listen to the 2dn book in the series. How would you feel if you were America Singer, one of a bevy of young women who may be chosen by Prince Maxon to be his wife and queen? Rather than being happy, America is conflicted because she is in love (secretly) with Maxon who is a member of a lower cast. 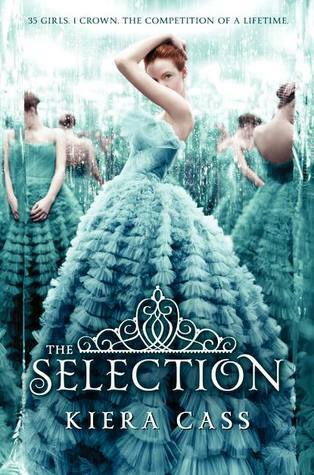 With lots of drama, action, and heart pounding romance, you will fall in love with America, her world, and the contest known as The Selection. Sign into Goodreads to see if any of your friends have read The Selection.